WARNING – Objects in mirror are closer than they appear. Summer Camp is FIVE FOUR DAYS away and I am excited…. it doesn’t matter that I’m staying home, but my heart is at Tesomas. once you’ve visited you always remember your visit. Always. I was looking at a way to help the bloggers – the adults who will be sharing the troop’s adventures with us – how to add content and I came across the photos from Summer Camp 2009. It took me back to my first visit. That year there were 18 brand new scouts led by 8 seasoned scouts and many adult leaders went to summer camp at Camp Tesomas – this year these scouts will be seniors in high school and finishing their scouting careers. WOW! How time flies and how close objects are in the mirror. Of those 18 scouts below, one (Anthony S.) has already achieved Eagle and several others are VERY close. Keep working and don’t be afraid to ask for help. 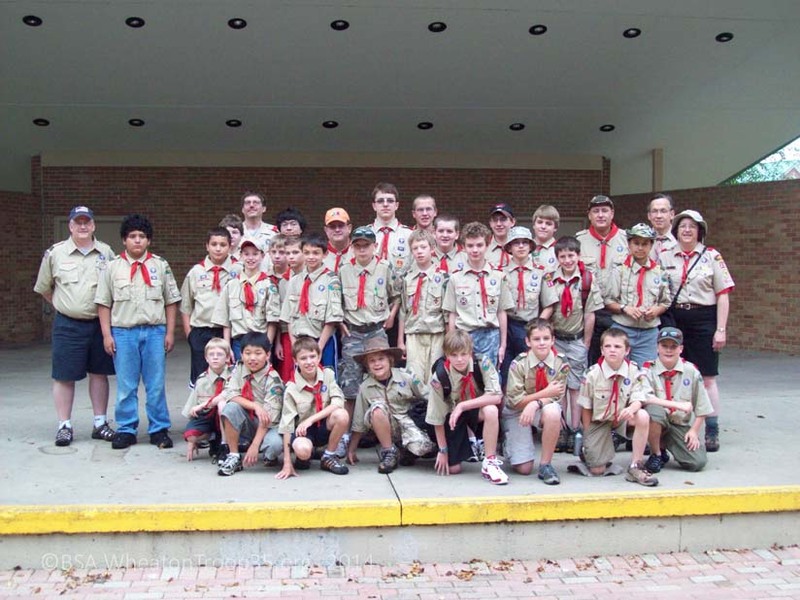 By the way, EVERY ONE OF THE EIGHT seasoned scouts that went in 2009. achieved the rank of Eagle – Adam, Sam, Rodger, Preston, Davis, Dan, Jacob, and Steven. WOW! Make sure to label all items T35 and Scouts’s last name. Medication forms (posted on ScoutTrack bulletin board) need to be filled out and brought along with any medication going to camp. OPTIONAL: Below is an example of how to address care packages or mail you intend to send your scout. You should allow 5- 7 days for receipt, which means mailing of care packages should be sent by Thursday. NOT OPTIONAL – make sure you set your alarm clock and arrive at Memorial Park (across from Gary United Methodist Church) as close to 6AM as possible. The troop trailer will be leaving at 7AM – it’s a six hour plus drive to 5403 Spider Lake Road and the troop will need to check in, set up camp, get a camp tour, eat dinner, attend an opening night campfire all before 9 PM. It’s a busy day. Monday morning at camp comes early! I wish I could go, but in a way I go every year. Enjoy the photos and don’t forget to thank the bloggers who bring you the goods from summer camp 2015! Take a look back at Summer Camp 2009! If you think you have read this before, you probably have – it’s a re-post (with some rewording) from 2014. Some messages are timeless. This entry was posted in Camping, Citizenship, Eagle Scout, Leadership, Recruiting, Scout Values and tagged Camp Tesomas, camping, campouts, scout recuiting, the best boy scout troop in Wheaton, Troop 35, Wheaton Eagle Scouts, Wheaton Troop 35. Bookmark the permalink.